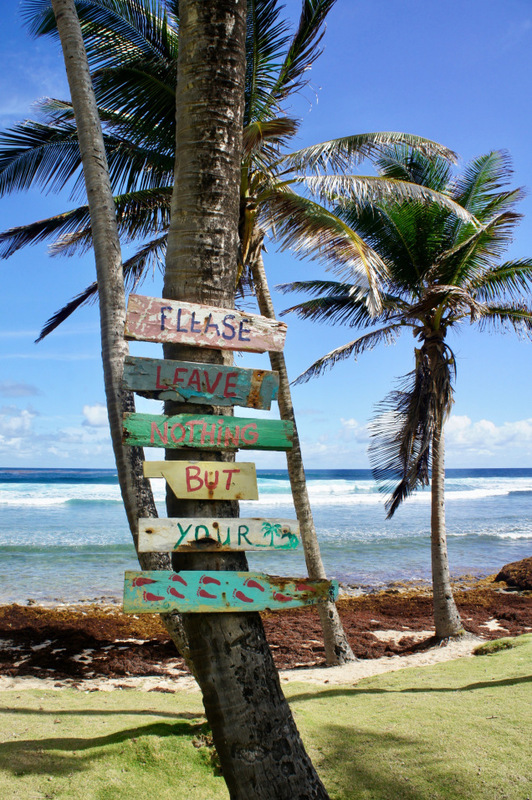 At Bougainvillea Barbados we try our best to encourage our staff and guests to play their part in taking care of our beautiful island Barbados. Here are some of the things we do and the ways you, as guests, can help. An EnergyEye in every room shuts off AC when it detects no activity in the room. Our irrigation system is controlled by a mobile app which takes local weather patterns into consideration. It will not water the plants if rain is coming – super cool stuff! Energy saving LED bulbs are used in every room. Inverter air conditioning units are used throughout the as they use less energy. Food waste from restaurants is composted or given to pig farmers as feed. Paper is recycled into notebooks to be used by staff or shredded to be used as animal bedding. Old towels and sheets are reused as cleaning rags. Cleaning agents are mixed and made on the property using natural ingredients. Eco-labelled office paper is used by all staff. 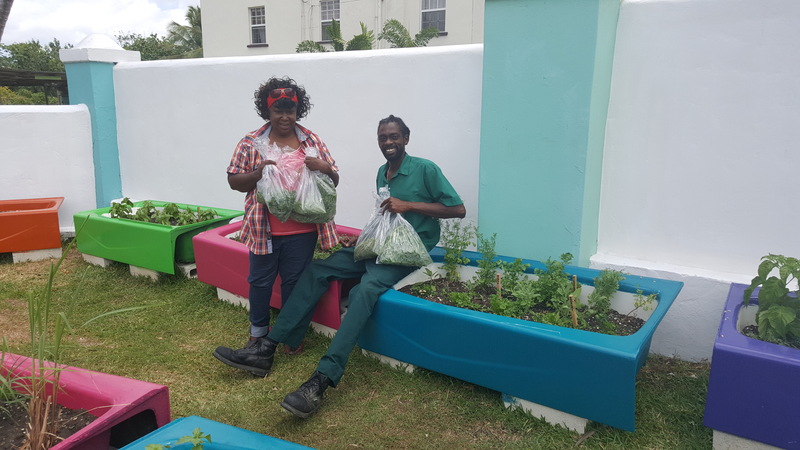 Herb gardens are grown on property in re-purposed bathtubs by our green team. Green team beach and neighbourhood cleanups are held regularly. 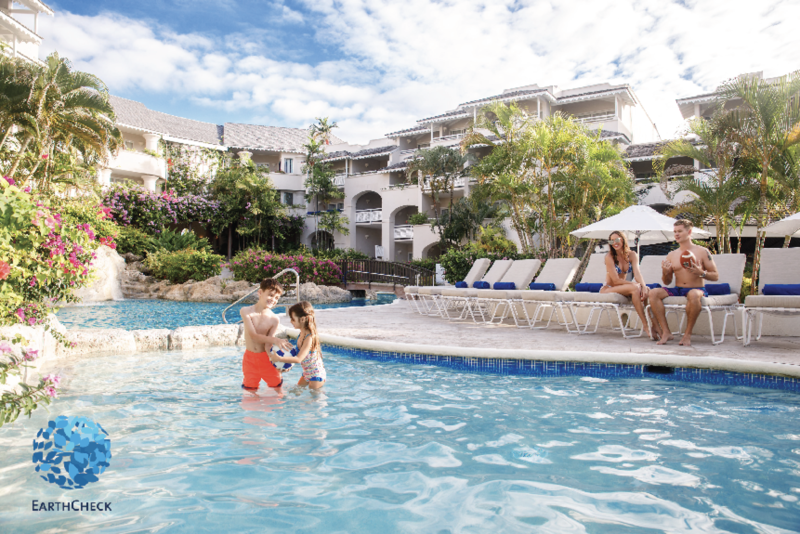 Bougainvillea Resort is proud to have over 12 years of Earth Check Certification. It’s very important that businesses do their part to protect the environment. 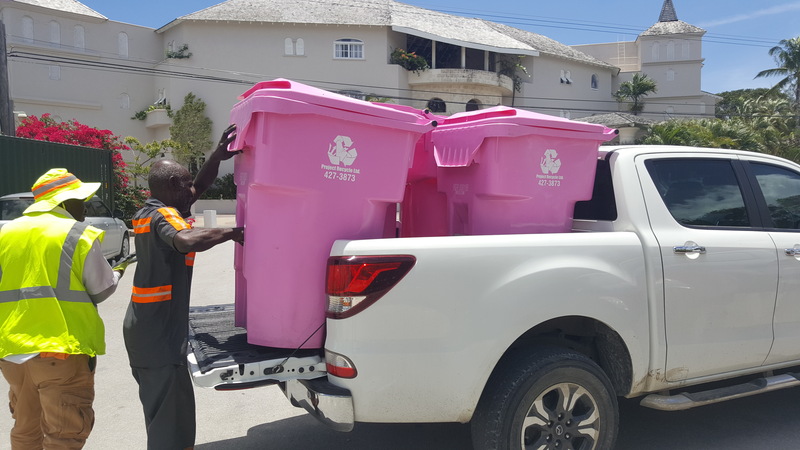 For Bougainvillea Barbados, this meant signing on to an environmental certification programme such as the one run by EarthCheck. If you put these words together: ‘leading scientific benchmarking certification’ and ‘environmental advisory group for travel and tourism’, then you’re speaking about EarthCheck. Their certification programmes provide organisations with a structured approach to achieving the best practices in environmental and social sustainability. 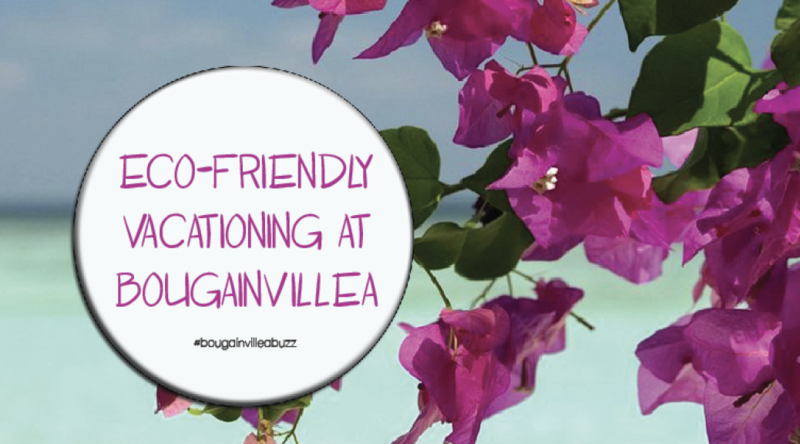 This is how we at Bougainvillea Barbados keep our carbon footprint in check! Our eco-friendly efforts have led us to achieve the elite Platinum EarthCheck Certification for over 12 years. How you can help our planet while vacationing. Refuse straws in your drink. Straws are made of plastic and can be very harmful to local wildlife. Refrain from changing your towels daily. Laundry uses a lot of water and energy. Order or serve yourself an acceptable amount of food to reduce food waste. Choose local dishes at restaurants. There is less of a carbon footprint on them. Turn off your lights, fans, and AC units when you leave the room. Watch what you buy as a souvenir. Avoid tortoiseshell or coral products. Recycle both on and off the property. Leave only your footprints – Please do not litter. With every action try to think that, instead of inheriting this planet from our parents, we are borrowing it from our kids. Let’s be the generation of change, together we can make a difference.